In every criminal case in NC, law enforcement officers gather evidence and are supposed to document (write down) the facts in each prosecution. One of the most important jobs as a lawyer is to review these materials, formulate a plan, and advise clients the best or most appropriate manner in which to proceed. While some people still refer to it as “drunk driving,” in North Carolina that type of criminal charge is technically called DWI or Driving While Impaired. Others still may also call those criminal cases DUI or Driving Under the Influence. If you are from another state, you may refer to it as OWI or OUI. It doesn’t much matter what you or others may call it. “Drunk Driving” is not a terribly accurate term, at least from a legal standpoint, but most people understand what it means and still use it for simplicity sake. If you say, “I was arrested for “Drunk Driving,” everyone knows what you’re talking about. 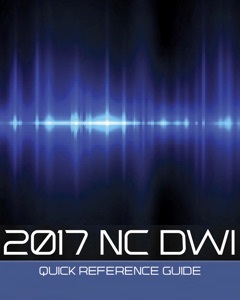 DWI-DUI cases in North Carolina often involve the consumption of alcohol also known as distilled spirits and nothing more. The number of cases involving both legal and illegal drugs is slowly climbing, but impairment due to alcohol remains, for now, the most common charge. Lawyers also regularly see cases where clients may have consumed a combination of substances, including alcohol, that may have impaired their ability to operate a motor vehicle. As such, NC laws were written to include impairment due to alcohol, drugs, and even lawfully prescribed medications. That may not seem entirely fair; but, that is the law in North Carolina. The legal issue now focuses on whether you were “appreciably” impaired by alcohol or some other substance. Appreciable impairment means noticeable or observable things that affect your mental or physical faculties or both. So DUI in North Carolina tended to relate to driving under the influence of alcohol. That was also true for driving while intoxicated. People normally refer to being under the influence of alcohol or intoxicated from drinking. Clearly it’s possible to be under the influence of drugs too. 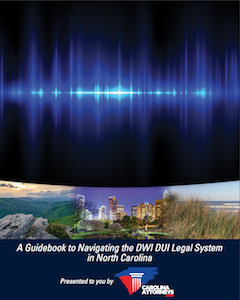 In North Carolina, DWI-DUI laws were written to include just about any type of substance that could change how you act, slow your reaction times, or affect your ability to operate a vehicle in a safe and lawful manner. As the laws developed in Raleigh, and throughout the courts of North Carolina, it became clear that sometimes peoples’ ability to drive can also be adversely affected by more than alcohol, which meant you could also be “impaired” or “under the influence of” medicines, and drugs. As a result, the focus of law centered on impairment and less on the impairing substance itself. You only need to be appreciably impaired or lose your normal mental or physical faculties or both. What was simply referred to as “drunk driving” became substantially more complicated. It’s much easier to enforce the law when someone is truly “drunk.” It’s altogether more difficult to describe appreciable impairment in court. The use of NHTSA roadside tests and portable breath tests became much more important. The job of a DWI-DUI attorney is to examine every aspect of a client’s case, which may include obtaining and reviewing a police report, arrest video, and carefully critiquing any field sobriety tests given on-scene. Those are all related to the determination of impairment and whether someone was driving under the influence. In choosing a DWI-DUI defense lawyer, clearly legal fees should be part of the consideration. Find out what the lawyer plans to do in advance and what they will charge for their legal services. Are fees less than you expected, or even “cheap?” Does the lawyer intend on quickly pleading you guilty? That’s honestly what some clients want. They just want to get the DWI charges “over with.” They don’t want to mess with court. That normally is the least expensive way to go. But is that what you want? Does that work for you? Is that your goal? Are legal fees maybe more expensive, because the plan is to research both the file and case extensively, with the intent of taking the case to trial? Is there any free legal advice given on the front end? Is there a free consultation for example? Are there hourly rates or flat fees for legal help? What about the facts of you or your case are important? Are there any special circumstances involved with your DWI case? Have you had prior DWI arrests? Have you been convicted of DWI or DUI or OUI or OWI in other states? Was it “drunk driving” or a barely noticeable amount of impairment? Were there children in the vehicle? Do you have a Commercial Driver’s License or CDL? Did you have a revoked or suspended license in North Carolina? Did you blow a high number? Did you refuse to blow? Were you involved in a wreck? Did you fight or harass the police officer? The cheapest or least expensive lawyer may not be what you really want or need. A lot depends on the background facts and your personal circumstances and what you are looking for in a DWI-DUI lawyer. When it comes to finding the right lawyer for you, there is no substitute for experience and thoroughness. There really is no such thing as a “best lawyer.” There are many excellent attorneys in North Carolina. If winning the case at trial is the goal, find out if your lawyer is even willing to take your case to trial. Ask them when was the last time they presented a motion in court or argued a case to a jury or judge. Obviously, no lawyer can ever promise or guarantee a result; but, it’s OK to admit you want to TRY to win or that you need to give it your best shot to challenge the charges. How to utilize the two-tiered criminal court system to increase your chances of beating a DUI-DWI in NC; you need to understand how District Court works in North Carolina and whether it is smart to appeal a matter to Superior Court or ask for a Jury Trial. Whether a roadside Alco-Sensor is required and whether refusal of that breath test results in a license suspension. Making sure you were released in a timely fashion, that the conditions of release and bail were proper, and that there was no delay in the arrest and processing at the jail. The legal standard for probable cause to arrest for driving while impaired in North Carolina, in order to challenge the police officer’s arrest decision. For decades, drunk drivers (under the influence of alcohol or drugs) have been a known leading cause of death in fatal crashes and other serious personal injury in the United States. North Carolina DWI laws are broadly written to prohibit drunken drivers from ingesting anything that lowers “reaction time” or depresses the central nervous system in a driving under the influence case. There is a relationship between the amount of alcohol a person drinks and alcohol-related crashes and fatalities. Like most other states, the state of North Carolina has enacted tough drunk driving laws that are meant to deter citizens from drinking and driving. If convicted of driving while impaired, the judge will conduct a sentencing hearing, and review the mitigating and aggravating factors and grossly aggravating factors, before handing down a sentence. Aggravated Level One punishment for DWI in NC is the harshest punishment and can include up to 3 Years in prison and a $10,000 fine. Level Five punishment carries the lightest DUI penalties, which is often found in a first offense DUI. But there are important considerations. Even with a first offense DWI in North Carolina, active time can be required if a Grossly Aggravating Factor is found by the Court. Our DWI attorneys can review the complex and multi-faceted details of sentencing, after your individual case, charging documents, arrest reports, citations, and your entire criminal history, whether those involve North Carolina criminal charges, or criminal cases from other states. DWI Defense is handled by North Carolina Criminal Defense Lawyers. Ask if they are a Board Certified Criminal Law Specialist by National Board of Trial Advocacy / National Board of Legal Specialty Certification. These North Carolina criminal defense attorneys focus on DWI defense law and the related legal fields of drivers’ license suspension or revocation, when an arrest for “drunk driving” has occurred. We encourage anyone arrested for DWI-DUI to find a Charlotte NC law firm with criminal defense lawyers committed to drunk driving defense who are fully trained in field sobriety test procedures, as well as skilled in making legal challenges to breath alcohol test results from an Intoximeter breathalyzer. In order to handle these complicated and highly technical criminal cases, NC DWI law firms must be comfortable working within the North Carolina criminal justice system, to effectively challenge criminal charges in court. You should expect a FREE consultation with a DWI lawyer Charlotte NC, to review the facts of your driving while impaired case, and to fully understand what your lawyer intends to do to help. The attorneys at our North Carolina criminal defense law firm, Powers Law Firm PA, have worked together for years. Each DWI lawyer at our law firm brings a dedication to justice in the NC legal system. The experienced, hard-working, and creative DWI lawyers in Charlotte NC on our staff, use a “team approach” in striving for the best possible outcome in every client’s case. That is a goal, not a promise. Often, this entails MORE than one of our Charlotte attorneys being involved in your case. 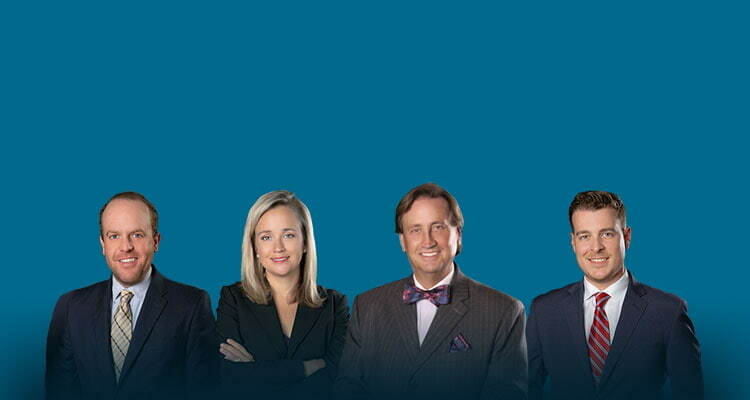 Learn more about our DWI attorneys in Charlotte, North Carolina by clicking here. Then, contact our North Carolina law office at 704-342-4357 to schedule a free consultation with the attorney of your choice. Trying to locate another DWI law firm in North Carolina with more available DUI attorneys may prove to be a very difficult task. However, the mere number of DUI lawyers at a firm does not mean much, when your goal is to find a DUI lawyer who has the right training, experience and knowledge of NC drunk driving laws to work to uncover police officer errors, or flaws in the law enforcement evidence in your DWI in North Carolina. Our Charlotte lawyers offer payment plans and FREE legal advice, for all potential clients trying to decide what to do and what is best for them. So why not meet with us to see if we are the right criminal lawyers for your case?